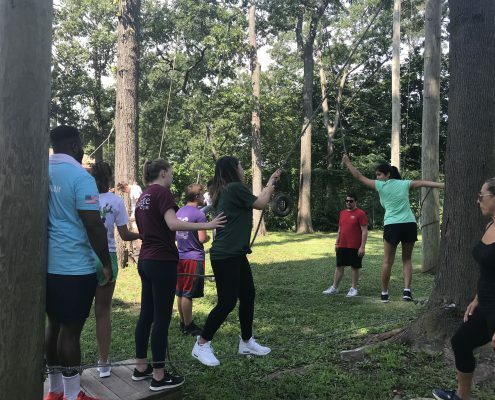 This summer, 24 talented college juniors and seniors had the opportunity to experience the operations and different roles that make a health system successful. 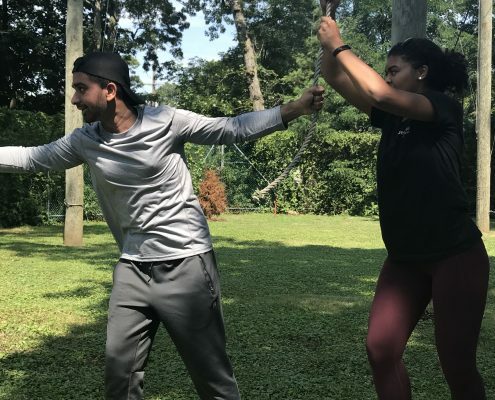 Through our Healthcare Management Program (HMP) Internship, interns built their leadership skills and gained invaluable experience and knowledge in the dynamic healthcare field in this elite 8-week program. 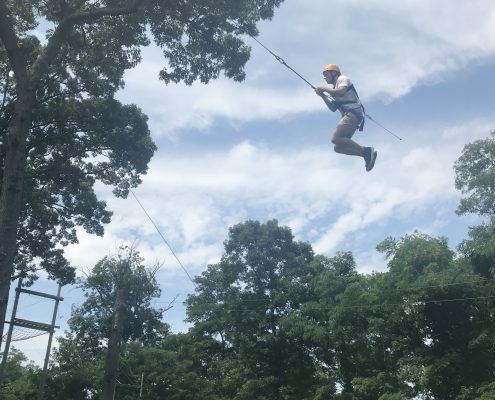 In between operations projects, learning from their mentors, and gaining experience at their site, our interns had a summer packed with activities. The second half of the program included a day trip into New York City. The morning was spent with educational sessions and team building. And there’s no better way to end a day in the city than with a Broadway show! 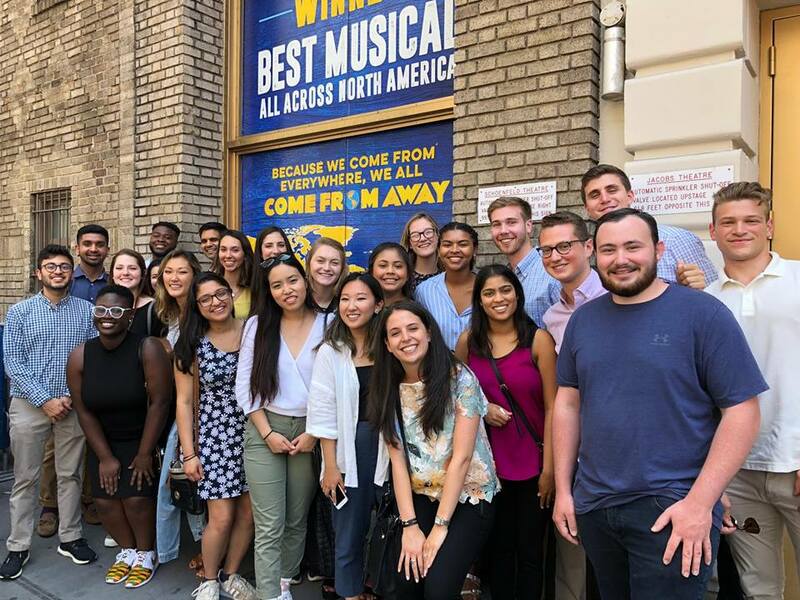 Interns had the chance to enjoy the Tony-winning musical, Come from Away and experience New York’s culture. Our HMP interns also spent a day at Project C.A.R.E. 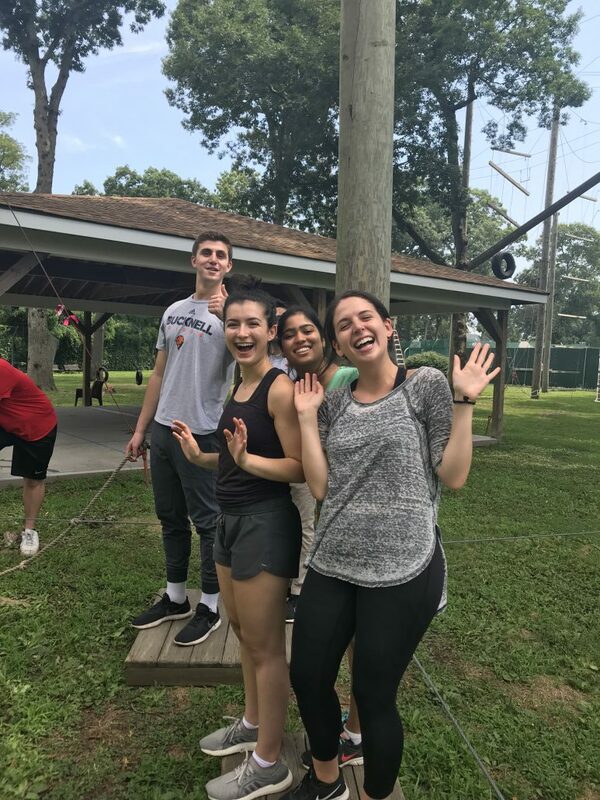 (Cooperative Activities Ropes Experience) at South Oaks Hospital. 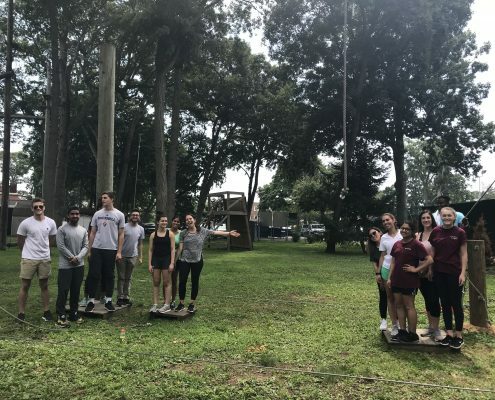 Starting with team building exercises, interns worked together to tackle obstacles and climbed to unexpected heights. 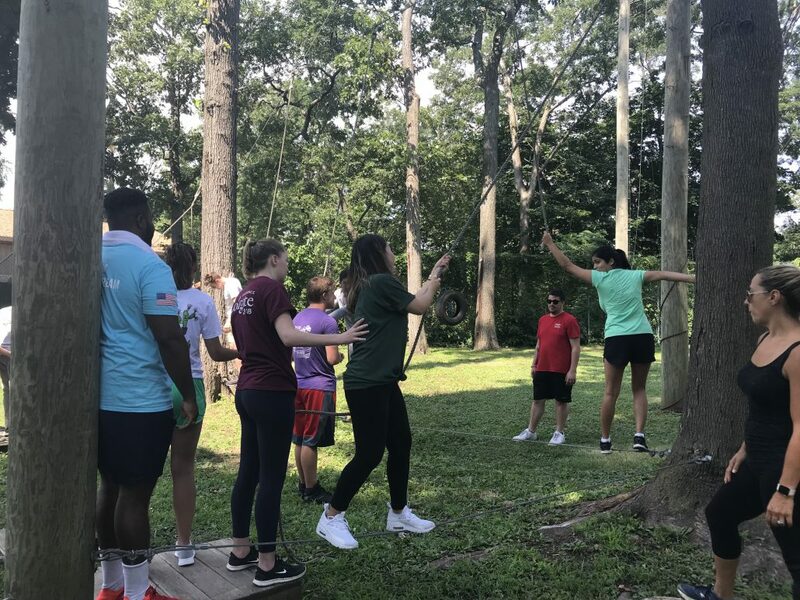 Problem solving games in this adventure-based workshop taught interns the importance of working Truly Together. 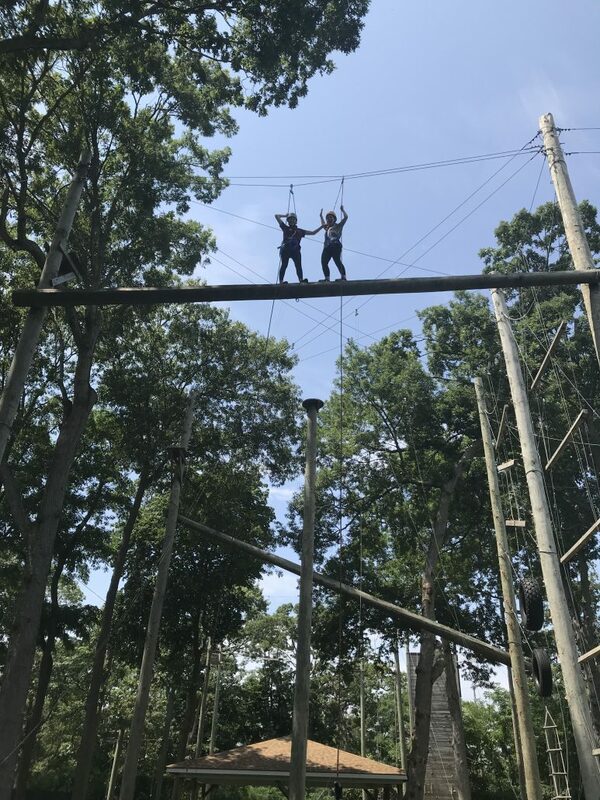 And by the end of the day, they were cheering each other on as they overcame fear and nerves on the high ropes elements. As the internship drew to a close, the HMP interns prepared to give their final presentations. These 15-minute presentations were given in front of their mentors and other Northwell senior leadership in a day-long session. Interns had the opportunity to showcase the different projects they worked on throughout their program. Not only did they get to reflect on what they’ve learned and accomplished, but they had the unique chance to share their insight on how Northwell can continue to improve our operations. With the presentations successfully wrapped up, it was time to celebrate! The day ended with an HMP Alumni Dinner where interns were able to network with previous HMP interns, mentors, and some of Northwell’s executives. The summer may be ending, but this isn’t the end of the road for our interns. Interviews for HMP’s sister program, the Management Associate Program (MAP), are currently under way. And many of our interns will go on to begin their careers with Northwell after their graduation. 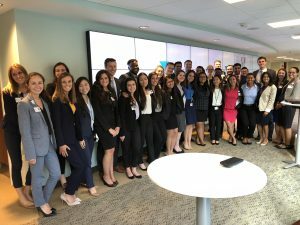 Last year, 12 interns were offered positions in the highly competitive two-year program that helps forge an early path into healthcare management at Northwell. We asked some of our interns for their parting thoughts. Check them out below! I think this program and programs of this nature are incredible. 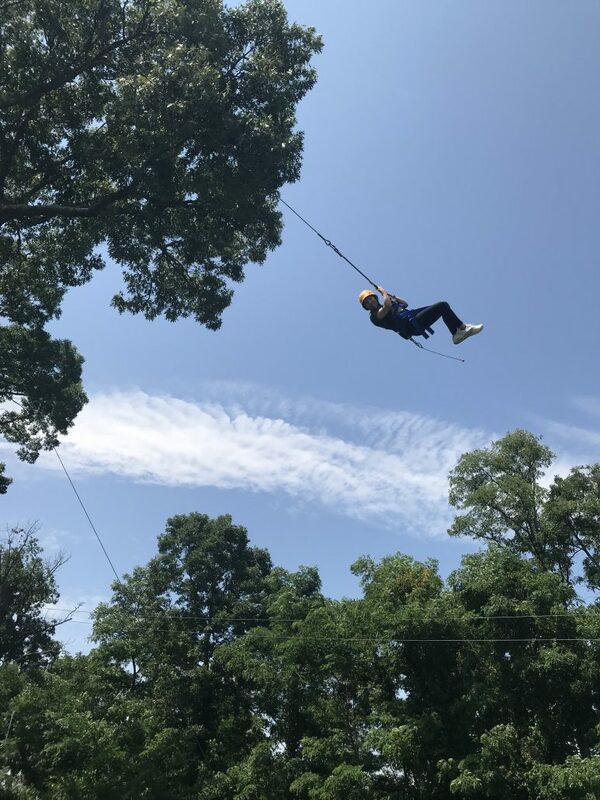 For someone with limited resources in terms of connections and guidance, programs of this nature are why I am the person, and in the position, I am today. I am so thankful for the opportunity, and I am poised to be a leader within healthcare in the future. If I did not have the support from all of you and Northwell as a whole I could not be saying or doing any of this. I am truly blessed and honored to have been a part of this program, and cannot express my gratitude enough. Thank you all so much for believing in me and my fellow associates and providing this platform to learn and grow, it truly says so much about Northwell and the people who work for Northwell. I came into this internship 100% out of my comfort zone, but I pushed to make sure I would leave with a different perspective on healthcare in America. I have learned so much about health systems, payer mix, and operational management (just to name a few) that I know I would not have been able to get anywhere else. It was truly an internship experience where I had the opportunity to make mistakes and learn from it as well as figure out my own style of leading and making a mark. I could not have pictured myself anywhere else. I wasn’t sure what to expect coming into the Healthcare Management Program internship. I assumed the majority of my duties would revolve around normal intern duties (i.e. fetching coffee, sorting papers). I was pleasantly surprised when my work was actually contributing to the patient’s experience. Only a few days in, one of my projects made it onto a PowerPoint presentation which was shared with several administrators. As the 8 weeks passed by, I was dreading the end! I genuinely felt like a valued member of the team, and these experiences provided me with several tools that I will be able to take with me throughout the rest of my professional career. The HMP program was an exceptional experience with diverse and varied opportunities that gave me a unique insight into management and operations. It has really shaped my foresight and perspective on the future to allow to me know that I too can make an impact. Through Northwell Health’s Healthcare Management Program, I know that I truly learned from the best. I learned about hospital finance, operations, and management through hands-on projects, many networking events, and Lunch & Learn sessions. Northwell leaders inspired us through their stories, taught us valuable lessons, and reminded us that they were once in our shoes. The Healthcare Management Program not only challenged what I knew about health care, but really pushed me to be the best professional I could be. I really felt like I was part of a team and that if there was something I didn’t know and couldn’t do, I would have the support from my peers and colleagues. The projects I worked on over the summer were real and had a lasting effect on the health system, and the opportunities to connect with senior healthcare leadership were always available. I could not recommend the program enough! 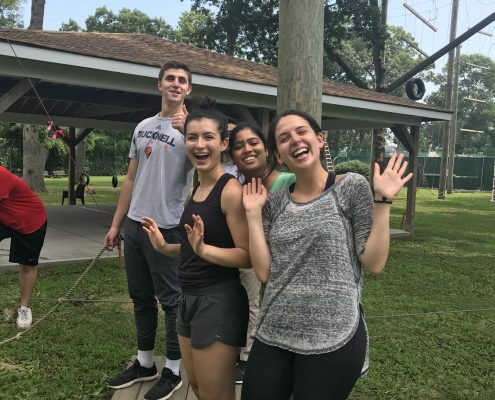 Interested in joining the 2019 Healthcare Management Program? Check back to our website or join our talent community! With this year’s program received more than 900 applicants from across the country, only 24 of the nation’s most promising students were selected for the program. 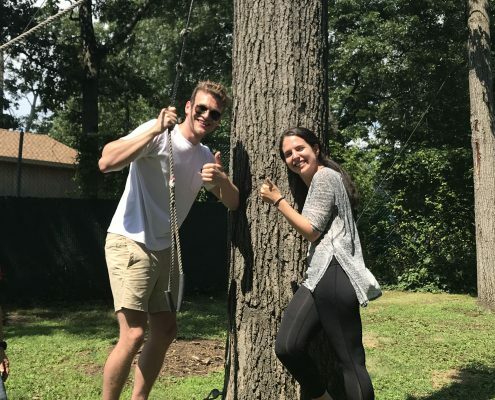 These ambitious juniors traveled from schools as far as Stanford University to as close as Hofstra University. Other students came from universities like Georgetown, UVA, Cornell, Colgate, Rochester, and UPenn to intern at our 18 participating sites. 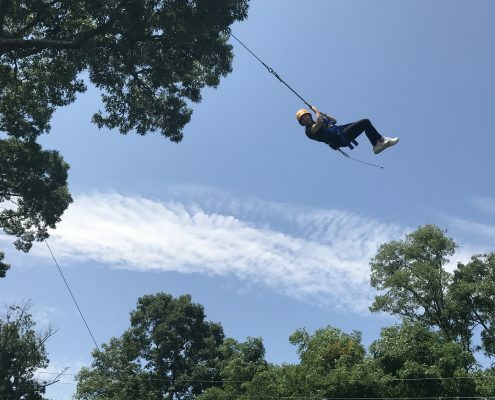 These locations offer diverse experience in tertiary hospitals, community hospitals, specialty hospitals and service lines across Long Island, Queens, NYC, Staten Island and Westchester. 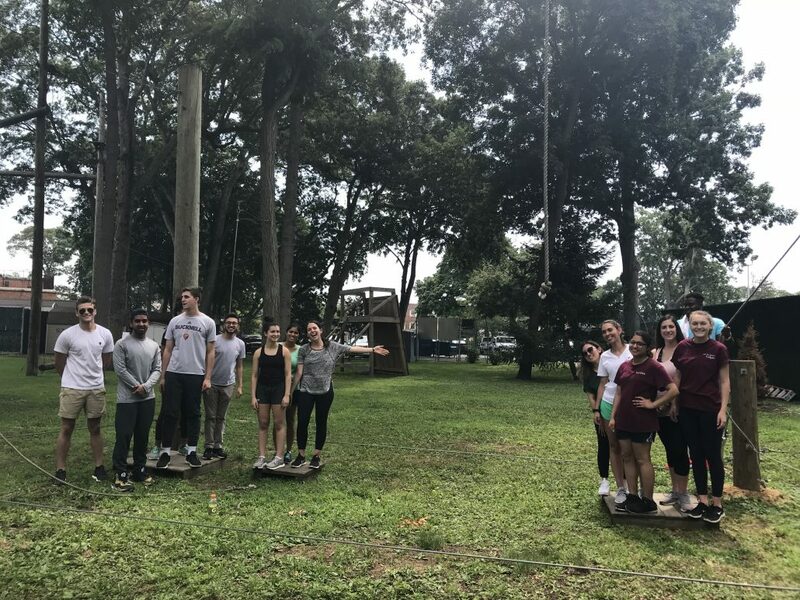 Interns competed in team building challenges during orientation. Here’s our winning team celebrating their victory! This isn’t your typical internship. Our interns will be pushed to fully immerse themselves in hospital operations. Nowhere else in healthcare will interns have the unique opportunity to work with senior leadership and finish projects that will help build efficiency for years to come. Students will learn to take initiative, how to work independently, and how to navigate the complexities of a changing health care landscape — no coffee orders and basic filing here! 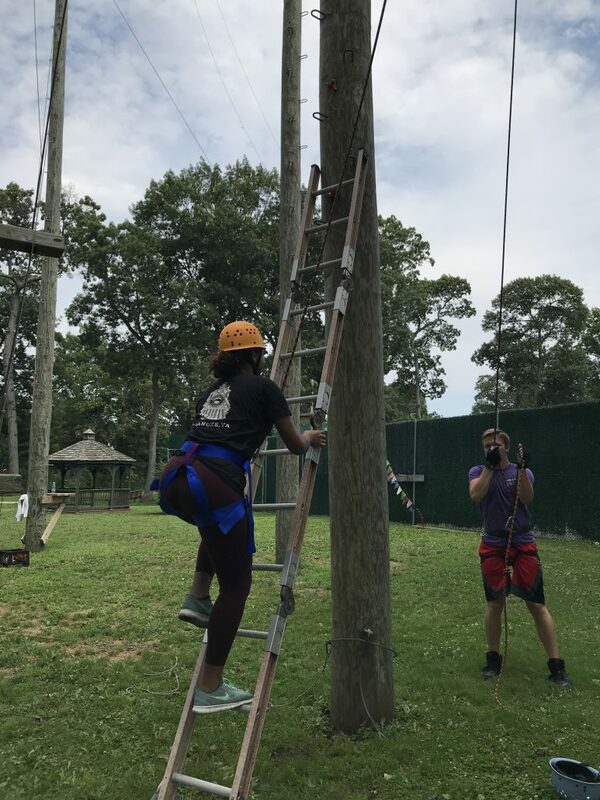 Outside of their internship, the HMP interns will also receive key networking opportunities to fill their summer with powerful opportunities. Between events like informative lunch and learns to our Healthcare Management Program Alumni dinner, interns will grow their skillset on and off site. 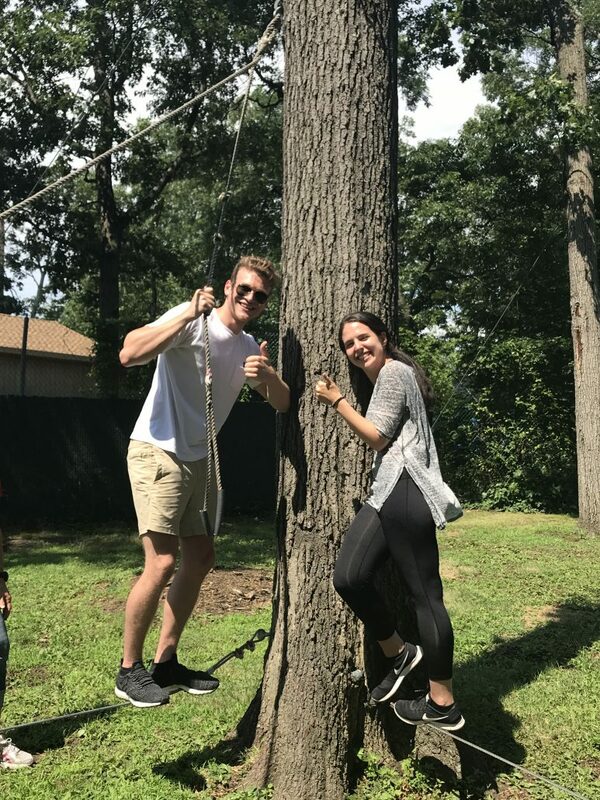 Interns are even scheduled to take on New York City as a whole in an exciting team building day trip! 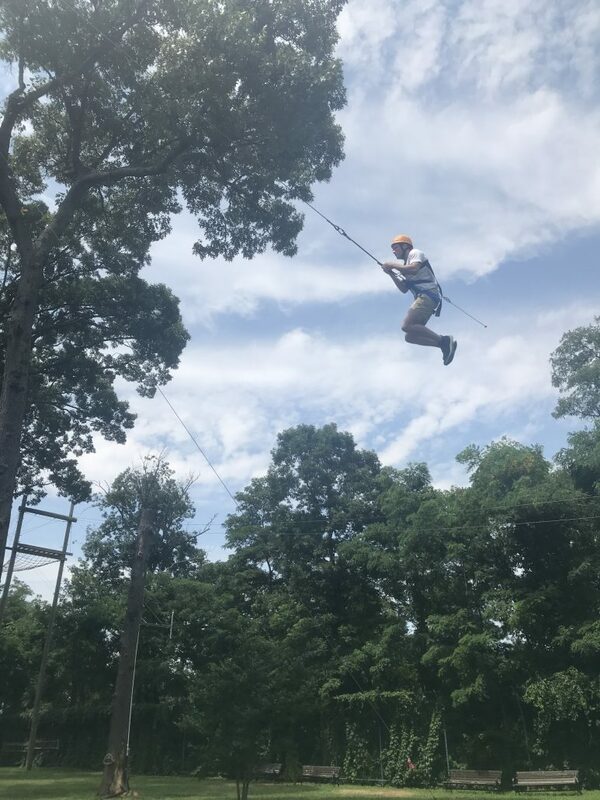 And their unique Northwell Health experience doesn’t have to end with the summer. 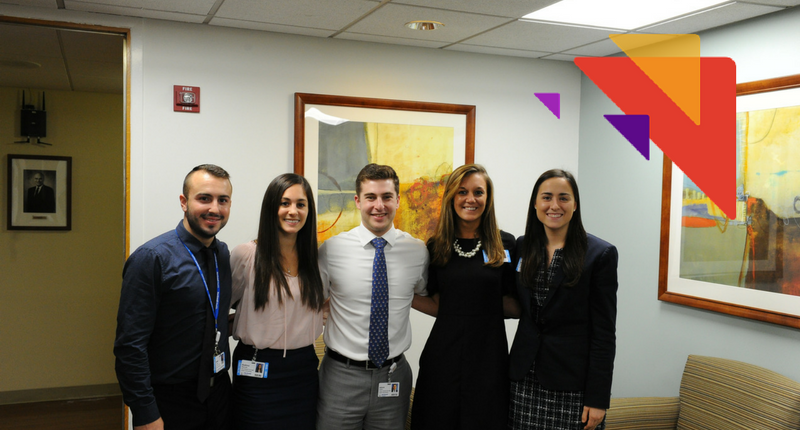 Interns from the Healthcare Management Program are the perfect candidates for its sister program, our Management Associate Program (MAP). MAP gives new post-graduates the full experience of healthcare management, with some HMP interns ending the the summer knowing they will have a full-time job after graduating. This highly competitive two year program helps talented individuals forge an early path into healthcare management and develops them into effective leaders. Last year, 12 HMP interns were hired into full-time MAP positions! 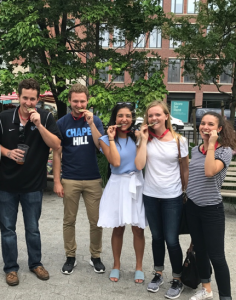 We checked in with some of our interns after their first week. Check out their first impressions below! If it had not been for the Office of Undergraduate Biology at my university, I would have never been exposed to the opportunity to apply for Northwell Health’s Healthcare Management Program (HMP). After visiting the office to discuss career opportunities that would combine my passions for the biological sciences and business, a student advisor raved about her experience working for Northwell Health and mentioned I should look into the HMP program. 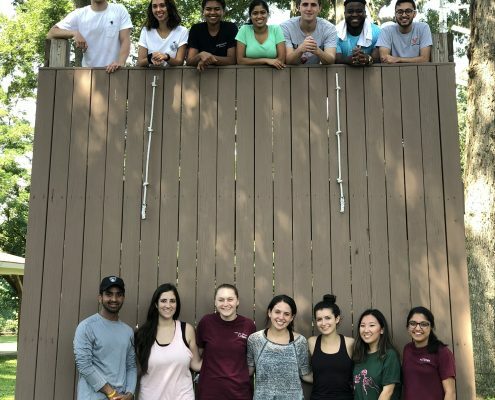 As a sophomore, it was rare to find an internship opportunity that delved into the world of healthcare administration and enabled me to work with so many different departments throughout the health system. I started my Northwell Health journey at Monter Cancer Center, where I was able to gather resources to build an internal website for Cancer Institute members across all sites. By leading this project, I interacted with many departments such as finance and operations, cancer research, and academic affairs among many others. One of my favorite parts about this project was being able to meet leaders throughout the facility who graciously welcomed me to the team and were happy to answer all of my questions to further my learning and engagement. Our goal was to develop the Cancer Institute as a unified and prominent entity for cancer treatment, research, and education. The first step to achieving this goal was having a place for all Cancer Institute employees to access to information regarding clinical trials, Continuing Medical Education events, cancer conferences, and community outreach initiatives. When my internship ended, I still followed up regarding the progress of my project, and loved knowing that I added value throughout my time at Monter Cancer Center. Upon reaching my junior year of college, I was able to apply what I had learned at Northwell Health to my courses and campus organizations. 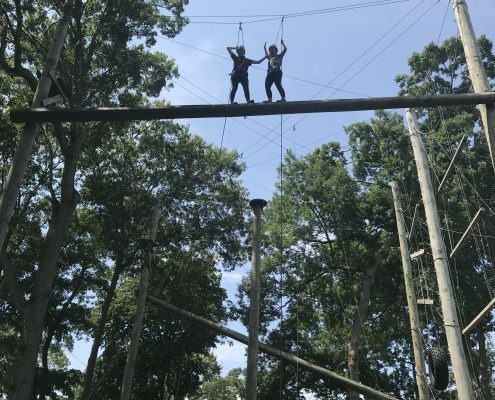 As I reflected on what I had learned during my internship, I knew I wanted to return to Northwell Health the next summer at a different site to absorb even more information from a different perspective. 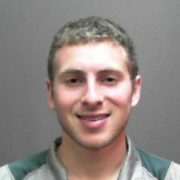 Fortunately, I was given the opportunity to once again join the HMP program, where I am currently spending my summer in the hospital operations department of Long Island Jewish Medical Center. I have learned that I enjoy working in both atmospheres, LIJ as a large tertiary hospital and Monter Cancer Center as a smaller, outpatient cancer treatment facility. Something I love about the HMP program is that there are so many different sites throughout the health system that participate in the program, and I can hear about other interns’ experiences who are placed at different locations. While at LIJ Medical Center, our team has been collaborating with the team at North Shore University Hospital to work on a hypothetical business case regarding the Pre-Surgical Testing (PST) care model. Our goal was to design an off-site location that combined two of the region’s existing centers. This theoretical project has been a great learning experience to identify what goals a project of this size would want to accomplish, such as the desire to maximize operational efficiencies, standardize procedures, and ultimately create a more positive patient experience. We took the time to plan, shadow their processes on-site, and combine the best practices of both PST locations to create a care model that features an ideal blueprint of the new space, taking into account estimated patient volume and length of stay. After spending two consecutive summers as part of the Northwell team, I have learned that working in healthcare administration across sites has the common theme of integrating departments and unifying their workflow processes and workplace culture. 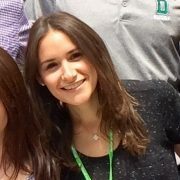 Update: Alexa has been offered and accepted a full-time position once she graduates from Cornell University in May. At Northwell Health it’s not a normal 9-5, so that’s why we gave our 26 Healthcare Management Program (HMP) interns an opportunity to take a break from their day-to-day work and projects, and experience New York City through an educational experience with a team building and critical thinking twist. 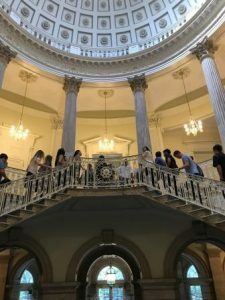 First, they started at City Hall with a tour exploring New York City’s culture since over 50% of our HMP interns live outside New York State. What better way to experience that than starting from the beginning with George Washington? After the tour, they sat down with Deborah Brown, Chief Health Strategy and Innovation Officer for the NYC Office of the Deputy Mayor for Health and Human Services to talk about the ever-changing landscape of health care and how the government is helping to cultivate plans for value-based care and population health, insurance reimbursement and more. Ms. Brown also shared her career journey in law that led to her current role in the governor’s office and opened the floor for a Q&A session with the interns. 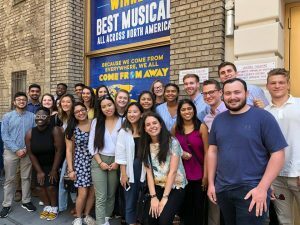 With a quick trip on the subway, our interns went to Lenox Health Greenwich Village (LHGV), Northwell Health’s free-standing emergency department, which is a division of Lenox Hill Hospital. 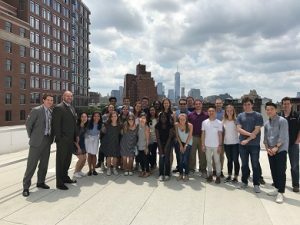 Receiving a personalized tour from Alex Hellinger, Executive Director at LHGV, the interns were provided an overview of the history of health care delivery in this community and the successes and challenges faced by Northwell Health over the last several years. They also were given a preview of the new operating room suites and physician offices currently being built at the site. Last activity of the day, a surprise scavenger hunt in Greenwich Village park. Each team had to find a way to take unique pictures working together, thinking creatively, how to solve the tasks at hand. From getting a tattoo (not a real one.. or maybe? ), treating someone in uniform with respect to somehow doubling your team size, the teams put their heads together to solve the mission at hand. 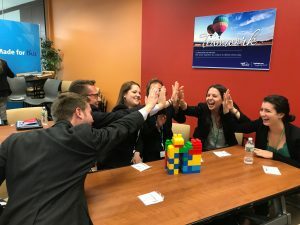 The scavenger hunt reinforced Northwell Health’s company values of Truly Compassionate, Truly Innovative, Truly Ambitious, Truly Together and Truly Ourselves. One team came out victorious, receiving the most points for their creative pictures and earned gold medals for their triumph. Although this was a fun day, these 26 individuals are hard at work at over 12 hospitals and service lines, taking on projects like reviewing financials for new hospital units, determining the most effective way to reduce readmission rates in population health, researching new tools in telehealth to implement, preparing for our annual philanthropy Foundation concert and more. 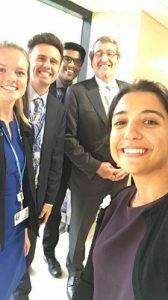 The day after their teambuilding session, they were back to work where some of the HMP interns had the opportunity to take a selfie with our President and CEO, Michael J. Dowling during a session with Senator Elaine Phillips where she thanked thank our nurses for all they do in delivering care and to present Maureen White, chief nursing executive, with a state proclamation. Does this sound like something you’re made for? Learn more and sign up for notifications about next summer’s program here. Northwell Health’s Healthcare Management Program Internship. The future of health care is in your hands. 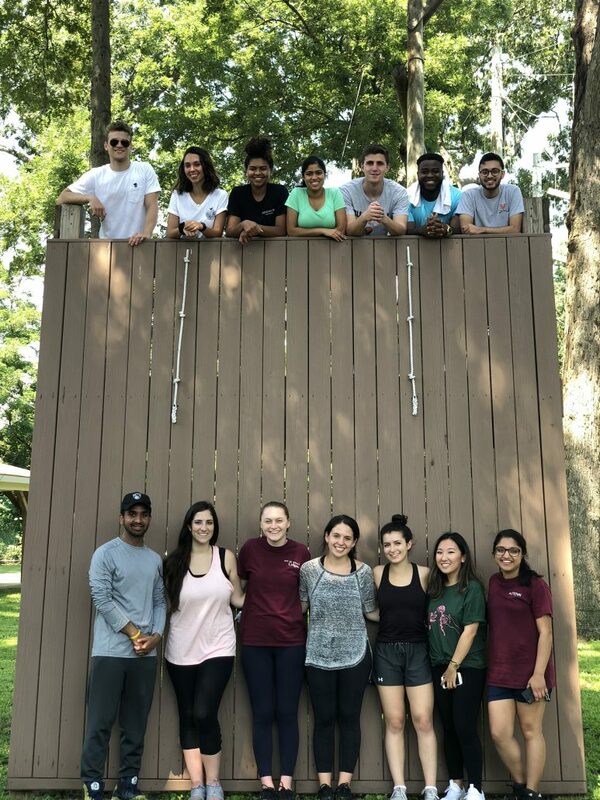 This summer, our newly expanded, elite 8-week Healthcare Management Program (HMP) Internship, offered undergraduate students a unique opportunity to influence the future of health care. With over 500 applications nationwide, thirteen top students were chosen to participate at one of our ten participating facilities. From day one, they were welcomed as a respected member of our team and immersed in real, meaningful project work with executive leaders and mentors- all working together toward the goal of transforming care. This program engaged and developed our future health care leaders by helping them realize their full potential, and giving them a hand on experience into health care administration and operations at various hospitals and facilities. Strategic, important project work. Opportunities like, new facility process mapping, annual report creation, hospital performance dashboards, venture capital planning, fundraising initiatives, product line financial reporting, redesigning of hospital units and so much more. Weekly educational sessions. Lead by our executives, our weekly Lunch & Learns from the best showcased topics such as Finance, Operations, Budgeting, Role of a Healthcare Administrator, Project Management, and Career Mobility. Networking opportunities. 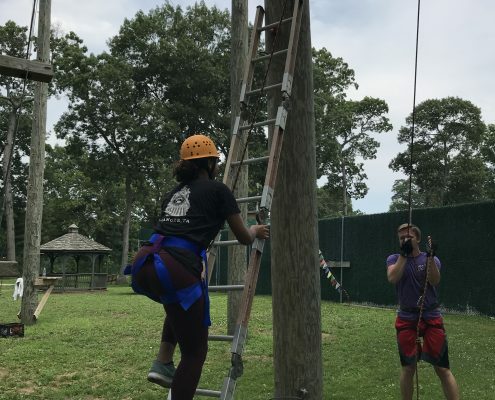 From chatting with past HMP interns and mentors at our Alumni Dinner to on-site visits & Lunch & Learns, the HMP interns were immersed in networking opportunities with various leaders and team members. Hospital and facility tours. To help students understand how their impact behind the scenes makes a difference to our overall operations they were given all access tours to our facilities. 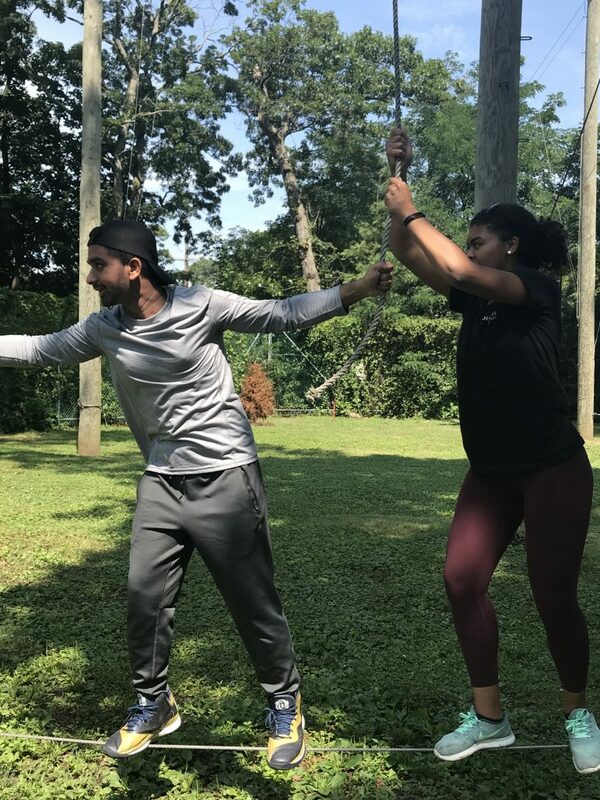 And yes….we even had time for fun events arranged specifically for the HMP intern group such as our Escape the Room team-building adventure! 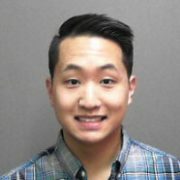 As a stepping stone into our Management Associate Program (MAP) after graduation, the HMP internship teaches you that from bedside to the business offices, there is nothing more fulfilling than knowing that we each play an integral part of the care of our patients and the customer experience. Don’t just take our word for it; hear from our 2016 HMP Interns…. We are now accepting applications for the 2017 HMP program. Visit our Students page for up-to-date information.